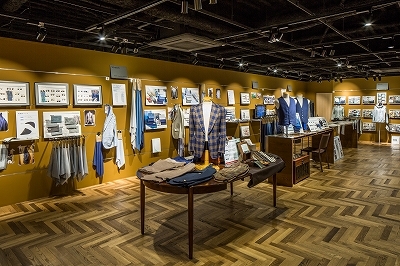 We have showrooms in Japan and overseas with permanent exhibitions of our products. All categories of our products are on display, including lining material, interlining, clothing and accessories. Visitors will be introduced to new products in various categories and recommended materials that reflect the latest trends. We renew the displayed items twice a year in different seasons and also hold temporary exhibitions. Our goal is to show materials and information to visitors in a timely fashion. There is no parking lot. Please use public transportation. All visits are on a reservation basis. Please contact our business representative for advance bookings. We have a showroom in the offices of Shanghai Sankei Trading. 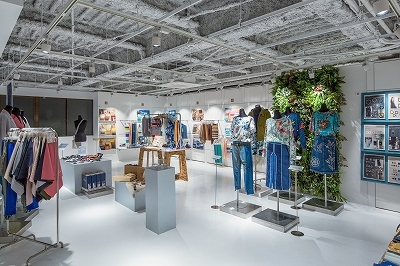 In this small space, visitors can take a look at a variety of items including Sankei’s original lining materials and interlinings, quilting, elastic and other garment accessories manufactured and processed at our production bases in Shanghai, labeling-related materials, and finished apparel products manufactured on an OEM basis. We have a showroom inside Sunline Sankei Yokohama(Hong Kong). 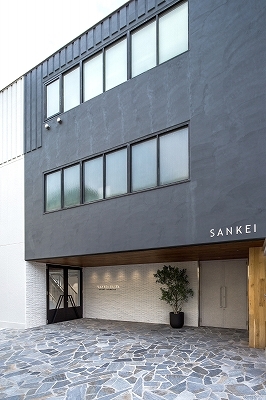 On display, for customers’ interest, are Sankei’s original garment accessories produced in China and the ASEAN region; and our “Japan-quality” products made in Japan. We also have a full-scale display of labeling materials that have received good reviews from apparel companies in Europe and North America. We have a showroom space in our offices in Dhaka. On display are high-quality products that are made in Japan, our original products made in China and the ASEAN region, garment accessories made locally by Bangladeshi producers, and labeling-related materials made at the factory in the Export Processing Zone in Adamjee.